Since it safely addresses the imbalance of the pituitary gland, the extract is useful for lowering the high levels of prolactin present in the blood. This is a hormone connected with lactation and breast development during pregnancy. Moreover, the Vitex extract boosts fertility, and represents a reliable natural treatment for improving the chances of pregnancy. Clinical data supports the oral use of Vitex for the symptomatic treatment of other gynecological disorders, as well, such as corpus luteum insufficiency, because the corpus luteum is vital for establishing and maintaining pregnancy. The Vitex dried, ripe berries are considered to be herbal remedies, and their uses are described in well-established pharmacological documents which point out their efficiency in treating endometrial hyperplasia, excessive menstrual flow or lack of menstrual flow, endocrine-related eczema, luteal phase defect, decreased levels of progesterone, fibroid cysts and hot flashes during menopause. The extract increases and improves fertility also due to the fact that it stops miscarriages on account of progesterone (the hormone related to the luteal stage) insufficiency, during which it should be higher. Endometrial hyperplasia which consists of an excessive growth of cells within the inner layer of the uterus also interferes with fertility, and could ultimately lead to uterine cancer. The Vitex extract is mainly recommended for the most frequent female endocrine condition, called polycystic ovary syndrome (PCOS), responsible for a high percentage of women’s infertility. The chaste berry fruit restores the balance between estrogen and progesterone levels, with no side effects reported. The average treatment with Vitex lasts about 3 months, and it proved to be successful in open clinical trials involving women with menstrual cycle abnormalities, as well as in the case of other endocrine imbalances. Vitex is taken orally, as capsules or tincture. The only notable contraindication is that this extract should be avoided during pregnancy. 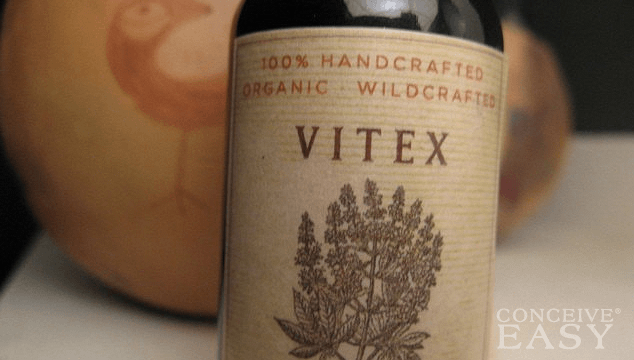 Will Vitex help me get pregnant? Ultimately, the Vitex extract will get you on the path to pregnancy, if you take the daily dose correctly, as improved luteal hormone concentration will effectively increase your chances of becoming pregnant and experience motherhood. Therefore, Vitex will offer you all of nature’s best advantages regarding fertility restoration and a healthy pregnancy.